Palm has announced that the Palm Pre Plus and Palm Pixi Plus are coming to AT&T in "the coming months." Pricing will be what you'd pretty much guess for the Palm Pre Plus: $149.99 for the Palm Pre Plus. 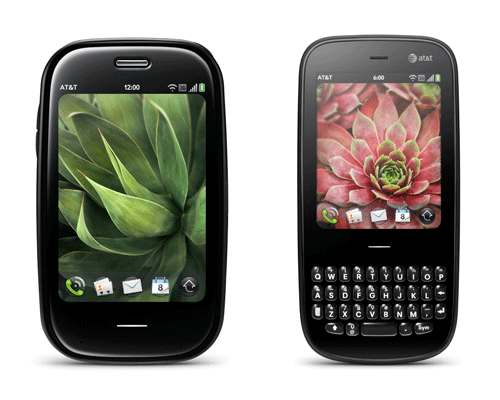 The Palm Pixi Plus on AT&T will clock in at a refreshing $49.99. Naturally, both prices are after a $100 mail-in rebate and a two-year contract. AT&T Whisper Service, which will automatically log the phones into AT&T WiFi hotspots when they are available. Not available on either phone is Mobile Hotspot for tethering, as that is a Verizon-exclusive service. Both phones, like their European predecessors, are capable of Bluetooth tethering but AT&T has not as of this writing revealed whether they'll offer a tethering option. AT&T and Palm have a history of smartphone leadership, and today’s announcement is a significant milestone for us,” said Jon Rubinstein, Palm chairman and chief executive officer. “With Palm webOS phones coming to AT&T, Palm can help most anyone in the United States stay connected so they never miss a thing. We'll add that once these phones hit AT&T Palm will be on the three largest US carriers. We're bummed that we don't have a firm release date. Previous rumors have pointed to May as a possibility, but those FCC documents were for the (presumably scrapped) regular Palm Pre P100UNA. Additionally, Palm's Q4 earnings outlook is small enough that a late-quarter launch is looking more likely. In addition to the standard, black back cover, the Pixi Plus will also be available with a blue back cover. Aftermarket and artist-series Pixi back covers will of course also work with the Pixi Plus. SUNNYVALE, Calif., March 22, 2010 – AT&T’s 80 million customers will soon have a new choice for staying connected in their fast-paced lives -- the Palm® webOS™ platform. Palm, Inc. (NASDAQ: PALM) today announced that the Palm Pre™ Plus and Palm Pixi™ Plus phones will be available on the nation’s fastest 3G network for $149.99 and $49.99, respectively, with a two-year service agreement and after a $100 mail-in rebate. Pre Plus and Pixi Plus will be featured in Palm’s booth (No. 7053) at CTIA Wireless, which runs March 23-25 in Las Vegas. With a slider keyboard, a larger touchscreen and a high-performance processor, Pre Plus is Palm’s full-featured Palm webOS phone. It’s designed for people who want an easy-to-use phone with advanced features to help manage the different aspects of their lives, both personal and professional. The keyboard makes for quick and easy typing, while the unique gesture area provides a sleek look and intuitive navigation. Customers also get 16GB(1) of storage (~15GB user available) for applications and media. Pre Plus comes with the Palm Touchstone™ Back Cover, so it’s compatible out of the box with the revolutionary inductive Touchstone Charging Dock (sold separately). As Palm’s thinnest phone to date, Pixi Plus fits easily in your hand or pocket and offers a host of powerful features, including Wi-Fi. It’s great for social communicators and first-time smartphone buyers who want an affordable and customizable phone with a full QWERTY keyboard instantly accessible for messaging and web content. Available in the original black as well as a new blue exclusive to AT&T, Pixi Plus is designed to let you express yourself. With the color Palm Pixi Touchstone Back Covers and the Palm Pixi Artist Series Back Covers (www.palm.com/artistseries), which are compatible with the Touchstone Charging Dock, you can easily switch covers to suit your mood and style (all sold separately at www.palm.com/store). Pre Plus and Pixi Plus showcase the defining features of Palm webOS, including the ability to run multiple applications simultaneously and easily move between them; the power of Palm Synergy™, which brings customers’ information from the many places it resides into a single, more comprehensive view; unobtrusive notifications; and universal search. (2) Palm webOS also has a unique model of over-the-air software updates that delivers new features and performance improvements directly to a user’s phone. Past updates have included support for 3D games and video recording allowing webOS customers to use their phones in fun, new ways. A significant advantage of Palm webOS applications is that they can be integrated into the core webOS functionalities, such as linked contacts, layered calendars, notifications and GPS, providing a rich catalog of innovative and unique offerings for Palm webOS users. The growing Palm App Catalog offers some of the best apps in the market – such as Pandora, Fandango, and rich 3D games like “Need for Speed™ Undercover” and “Guitar Hero” – unique in their high integration with the webOS device. Currently there are more than 2,000 applications for download. Pre Plus and Pixi Plus feature Wi-Fi connectivity, and AT&T customers with these devices will receive AT&T Wi-Fi access at U.S. hotspots included as part of their unlimited data plan. The phones transparently connect to Wi-Fi when in range of an AT&T hotspot, providing customers with fast and seamless access to music, email, video and the web. AT&T has the nation’s largest Wi-Fi network with more than 20,000 U.S. hotspots. Palm, Inc. creates intuitive and powerful mobile experiences that enable consumers and businesses to connect to their information in more useful and usable ways. The company’s groundbreaking Palm webOS™ platform, designed exclusively for mobile application, introduces true multitasking and Palm Synergy™, which brings your information from the many places it resides into a single, more comprehensive view of your life. Palm products are sold through select Internet, retail, reseller and wireless operator channels, and at the Palm online store (www.palm.com/store). More information about Palm, Inc. is available at www.palm.com.